Veröffentlicht am 25. Mai 2010 um 13:13 Uhr. 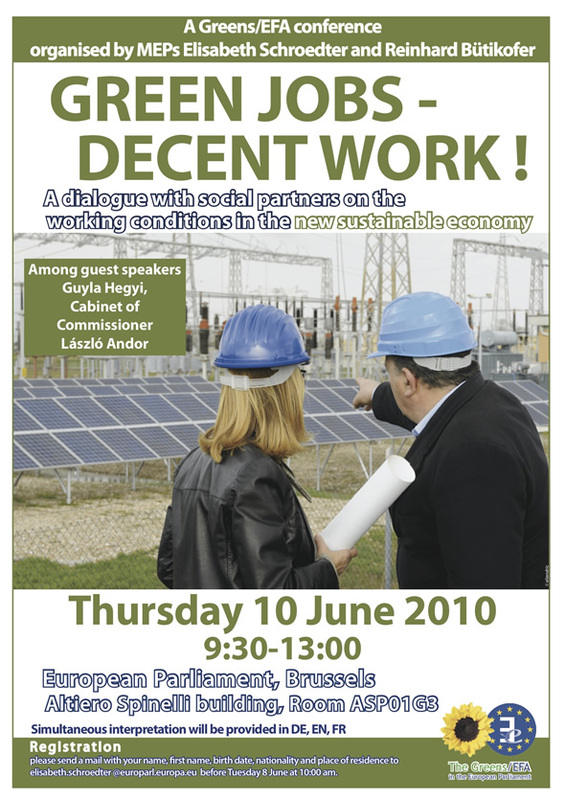 Green Jobs – Decent Work! A Greens/EFA conference organised by MEPs Elisabeth Schroedter and Reinhard Bütikofer. 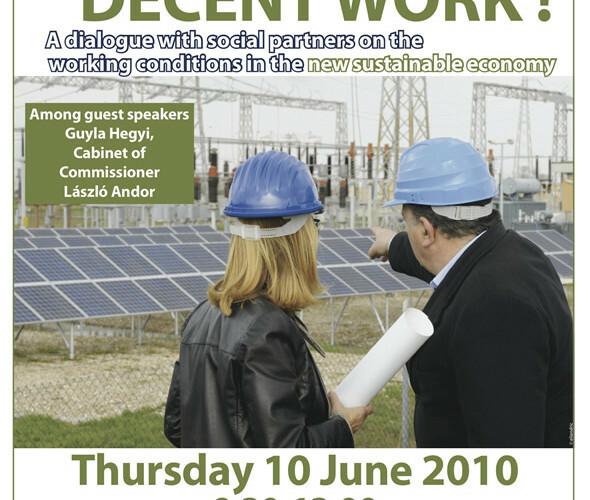 A dialogue with social partners on the working conditions in the new sustainable economy. Among the guest speakers is Guyla Hegyi, Cabonet of Comissioner László Andor. Thursday, 10 June 2010, 9:30h-13:00h. Please send a mail with your name, first name, birth date, nationality and place of residence to elisabeth.schroedter@europarl.europa.eu before Tuesday 8 June at 10:00am.